It is critical both in terms of minimising the possibility of infections spreading and also of ensuring the freshness and cleanliness that will provide the best possible environment to help patients recover quickly. Drainage is, of course, one of the key means by which waste is removed from any building, and hospitals and surgeries present a significant challenge in terms of keeping drains free from blockages. The obvious reason for this is that the facilities are used heavily by members of the public, with the result that they are subject to the same challenges faced by other large public buildings such as schools, sporting facilities and universities. The challenge is, of course, that there is no way to control what is thrown into the toilets and invariably a wide range of things such as paper towels, nappies, feminine hygiene products and food wrappers find their way into the drainage system. 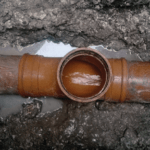 This kind of usage can potentially create problems even in the most robust and well-maintained drainage systems, so any issues with the system – such as slight collapse, misalignment of the pipes or tree roots growing in to the line, – will quickly be exposed and can often give rise to a major blockage. This can be very disruptive in any public building, but in a healthcare environment where the users of the facility are often in a fragile condition it can potentially be extremely harmful. Another concern specific to healthcare facilities is the containment of pathogens, and great care is taken to ensure that infectious substances are not passed from one part of the facility to another. Drainage presents a concern because it is often the only single system that links all parts of the facility. Where a blockage causes drains to back up and potentially overflow, the water seals that usually prevent transfer of potentially harmful substances can be broken. Minimising the occurrence and impact of these events requires a belt and braces approach. First, a full audit of the condition of the drainage system should be carried out so preventative measures can be taken to stop blockages happening in the first place. Second, a sound reactive plan needs to be in place to allow blockages to be addressed quickly and with the minimum of disruption. Working with a supplier with the capability to deliver this approach is crucial. The benefits of supply chain consolidation have been demonstrated across the public and private sector for a whole host of services, and drainage is no exception. Guaranteeing consistency of quality and cost across even a medium-sized operation can be difficult when using a patchwork of different suppliers for different kinds of jobs or across multiple locations. This is particularly the case with drainage as emergencies are – by definition – unexpected and require urgent attention. Under these circumstances, it can be difficult to have the presence of mind to ensure that the cost of the service is competitive and in line with previous work done and jobs carried out for other areas of the organisation. Frankly, if the emergency response plan is simply to find a local contractor on an ad-hoc basis, this can be a roll of the dice in terms of the standard of service that will be available, the price that will be charged for the job and the risk of recurrence. The answer is a framework agreement with a drainage solutions provider with the geographical coverage and breadth of expertise to cover every eventuality. Whatever the size of the estate in question – from small local GP surgeries to busy multi-site facilities, there are always benefits to be had in forming an on-going relationship with a trusted supplier. Beyond reducing the management time consumed by shopping around and negotiating the cost of the service every time an unblock is needed, there are also a range of other compelling plus point to consolidating. Larger providers are more likely to comply with Water Research Centre’s (WRc) Drainage Repair Book or the ‘Drainage Repair Bible’, which defines the Association of British Insurer’s (ABI) adopted industry best practice for drainage investigation and repair. This ensures that only work that is absolutely necessary will be carried out. They will also typically be versed in the more advanced drainage mapping and auditing processes that are essential in understanding the dynamics of a drainage system within a larger facility. In a 24/7 healthcare environment, the ability to react at any time of day or night is critical to minimise disruption to patient care. Where drainage issues require rapid response, it is vital that the drainage supplier agrees and sticks to response time targets. Again, larger providers are more likely to have the capability of building these KPI targets into an agreement. Working with providers with a broader geographic scope can also mean that the scale of provision is greatly enhanced. Local providers will often be highly proficient at straightforward unblock jobs and, in many cases, will be competitive on price. Where they lose out to larger providers is often in their access to more advanced technology and techniques, and their ability to spot the ultimate cause of the blockage. Broader, more established providers are likely to have invested considerable funds in the most efficient ways of working, such as CCTV diagnostics and no-dig technology. This new technology resembles keyhole surgery in that it can allow a localised repair to take place without the need for invasive excavation work to take place. A high pressure jet is used to clean the drain or sewer before a CCTV camera is put down the drain in order to ascertain the level of damage and diagnose the most appropriate method of repair. Where the affected area is more localised, a patch repair is more appropriate, whereby a small patch is placed over the affected area. Neither of these methods involves digging up the pipes or surrounding areas. It is difficult to overstate the extent to which these techniques can reduce the disruption caused by a repair job by obviating the messy and time-consuming need to excavate large sections of ground. From a healthcare estate manager’s perspective no-dig technology has removed some of the barriers that previously might have prevented necessary repairs from being carried out. Where previously a manager might have taken the decision that a recurring blocked drain requiring a reactive unblock every month or so was less disruptive than a three-day-long excavation to fix the issue, now they will be much more likely to look to the root cause of the problem. A final piece of the puzzle is customer relations. Despite the best efforts of a repair team, drainage repair works can be noisy and may release unpleasant odours. Effective communication is critical, and the best providers will ensure that the degree of noise and potential smell is shared with estate managers. This focus on customer relations means that suitable notice can be given to healthcare workers and patients and any appropriate action taken. Some patients may need to be relocated while works take place while others could be informed as to the reason for the disturbance and how long it will last. A good drainage provider will be able to identify the key drainage pressure points and recommend maintenance work that will save money and inconvenience in the long run. Similarly, regular preventative drainage ‘health checks’ for buildings can be included as part of a contract. These are key, not only to help eliminate ongoing drainage problems, such as blockages, but also to ensure that more serious drainage problems are detected in good time. When an estates team at a large, home-counties-based NHS Trust carried out an Operations and Maintenance Risk Assessment, it revealed that the drainage system was not mapped or fully understood. Like many healthcare facilities, the site has a complex construction history in which many different extensions have been added over a period of several decades. As the development has grown, so has its drainage system – with new sections added by different contractors at different times. The result was a complicated arrangement of drains, largely in unknown condition and not detailed with any consistency or in a single resource.  To rectify the situation, a tender was put out to survey and map the system and this was awarded to UKDN Waterflow. The aim of the project was to provide the estates team with a full register of all drainage assets and their current condition, a digital map of the system and its dynamics that would sit within the team’s existing digital resources and a detailed maintenance plan for the entire system. The UKDN Waterflow team used a combination of CCTV surveying, flow tracing using coloured dyes, sounding and GPS mapping to piece together a detailed map of the system. This information was used to create a new drainage layer that sat within the estates team’s existing CAD drawing of the facility, allowing the positional details of all drainage assets to be superimposed on other details of the facility. This meant the exact location of any disruption and its proximity to sensitive operations can be quickly assessed. As well as underpinning the on-going, proactive drainage maintenance operation now employed by the hospital, this project has given the facilities management team clarity over every part of the system. This has made reactive unblocking jobs much faster to carry out and, crucially, has provided confidence that there are no serious issues waiting to emerge. Hammersmith Hospital is a major teaching hospital in East Acton, London. It has around 350 beds and provides Accident and Emergency facilities as well as a wide range of scheduled medical procedures. A key water main supplying the hospital burst resulting in loss of water pressure and threatening significant disruption to operations. UKDN Waterflow engineers were called to assess the problem and put in place a plan to address it. Because the source of the leak and the time required to reinstate the main would take some time to determine, the engineers arranged for a temporary supply to be fed into the building allowing operations to continue throughout the works. Once the leak was traced the pipe was repaired, a new hydrant installed, and the pavement restored to its original condition. Throughout the process, the team gave regular updates to hospital security, reception staff and the estates team to allow them to manage relations with any patients or members of the public affected by the works. Anthony McNamara, estates plumbing supervisor at Imperial College NHS Trust, said: “We do everything we can to reduce the likelihood of disruptive drainage incidents occurring, but – as this leak demonstrates – you can never reduce the probability to zero.